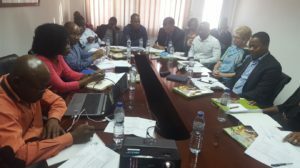 During June, the Mozambique Ministry of Education (MoE) hosted CSTL partners. The visitors included representatives from the following funding and implementing partners: the Swiss Agency for Development and Cooperation (CSTL funding partner), represented by Mr Christian Engler and Lawrence Lewis; and MIET AFRICA (CSTL implementing partner), represented by Lucas Chachine (Board member), Lynn van der Elst (CEO), Pontsi Buthelezi (CSTL team leader) and Sindi Zulu (CSTL Regional Coordinator). 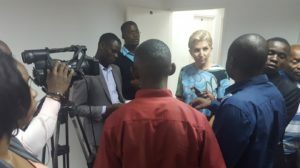 The visit commenced with a meeting at the MoE headquarters in Maputo, where the MoE’s Director of Health and Nutrition, Dr Arlinda Chaquisse, gave a presentation on the progress of CSTL in the country. She highlighted the strong collaboration between government and non-government partners in the strengthening of the education system, using CSTL as an overarching framework to guide the MoE’s response to addressing learning barriers faced by children and youth. 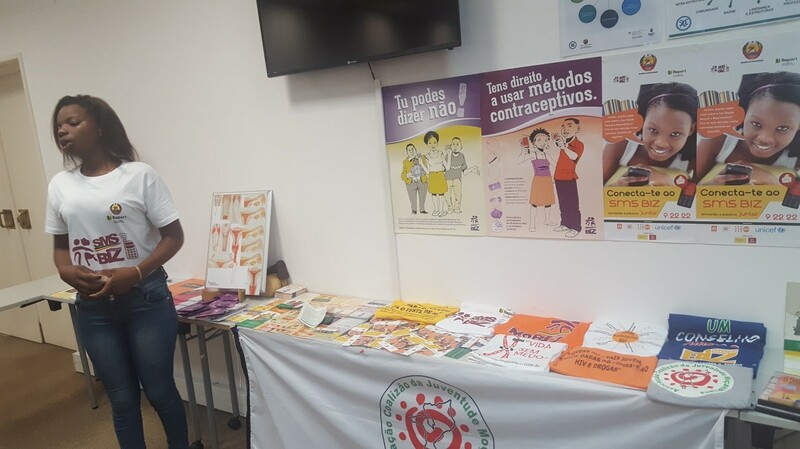 Dr Chaquisse shared how CSTL has been contextualized to address priorities in Mozambique, where the focus is on the areas of Health (SRHR, HIV&AIDS), Water and Sanitation, Nutrition (food production and food security), and Safety and Protection. The presentation evidenced the full participation by, and ownership of, CSTL by the MoE, which is essential for its sustainability. Following the meeting with the MoE, the visitors were introduced to the work of the CSTL National Coordinating Unit (NCU). A display gallery provided evidence of what was presented by the Director the previous day. NCU partners emphasized the value of working with the MoE in mainstreaming and delivering services of care and support for teaching and learning. There were also visits to the field, which began with a meeting at the Kamubukwana District office, where the District Director, Mr Tiago Mahumane, welcomed the visitors and shared examples of how the CSTL Programme has assisted the work with schools, local structures and parents in addressing the needs of children. Areas of priority include Infrastructure, Health, Nutrition, Safety and Protection. Mr Mahumane also expressed his appreciation for the support received from the MoE. 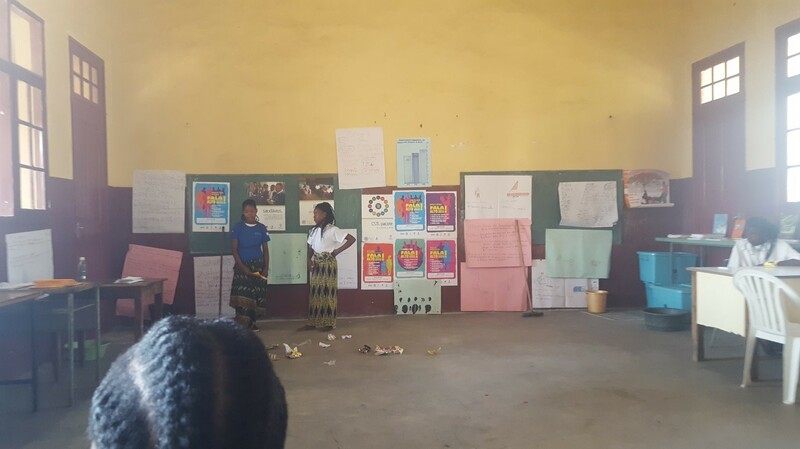 The delegation then visited two primary schools in Kumabukwana: EPC 1 de Junho and EPC Magoanine A. Learners from both schools used drama, poetry and music to present what they are learning through CSTL. Displays of learning material illustrated how issues of prevention, care and support are integrated into the curriculum. The presentations by the school directors, teachers, parents and local structures echoed the impact and value of CSTL. A highlight was the CSTL song (listen to the original) that learners from EPC Magoanine A sang to welcome the guests. The song, in the Mozambican style of music, was written and produced specifically for CSTL by the principal from another school in Kamubukwana District, together with a local youth musician. It has been translated into English and French, and has been adopted by many other schools. The SDC delegates were impressed by the ownership and leadership provided by the MoE. They requested that more of this information be shared with other Member States through reports and sharing meetings. 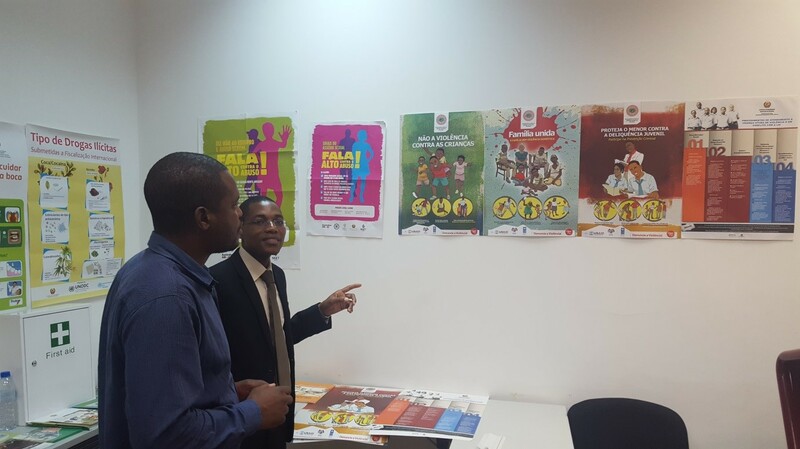 They were also impressed at how strong the MoE in Mozambique is on issues of SRHR and HIV&AIDS. The representative from the UNAIDS Mozambique office was expressed his excitement at what he had observed, and invited the MoE and MIET AFRICA to meet with his colleagues at UNAIDS to explore opportunities for collaboration. The visit provided a good opportunity to advocate for the CSTL Programme, especially through the interviews with local media. The participation of MIET AFRICA’s Mozambican Board Member was greatly appreciated: it emphasized the importance of CSTL for the organization. Both the Ministry and its partners confirmed the value of the programme in strengthening the education system through the mainstreaming of care and support. Also of great value was the strengthening of multisectoral collaboration by the MoE, which has improved the delivery of services to vulnerable learners. At the schools, directors shared the positive increase in learner achievement, pass rate and retention of learners and a reduction in dropouts and teenage pregnancy attributable to CSTL. Teachers expressed their appreciation for the training they have received that has assisted them to identify and refer vulnerable learners. 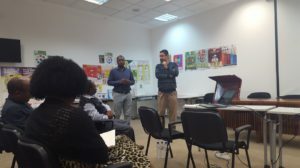 Parents shared how, through the CSTL parenting skills programme, they are better able to support their children to learn and have built strong relationships with their children. They are also more involved in assisting the school to provide a safe and protective learning environment for learners, while also promoting zero tolerance for drugs and violence.